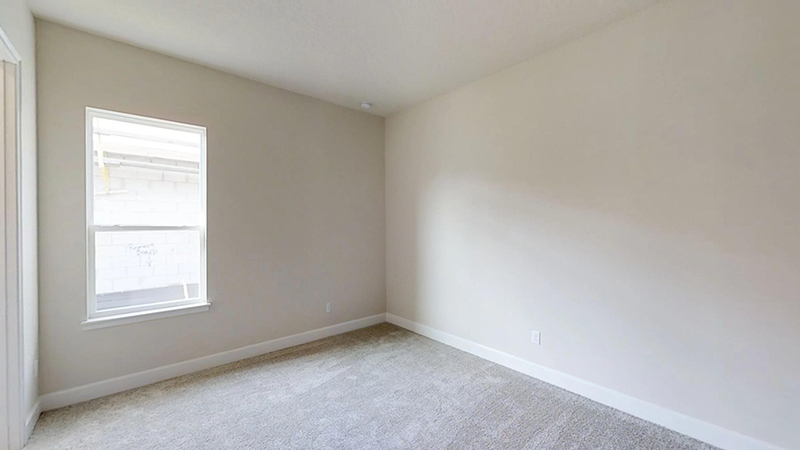 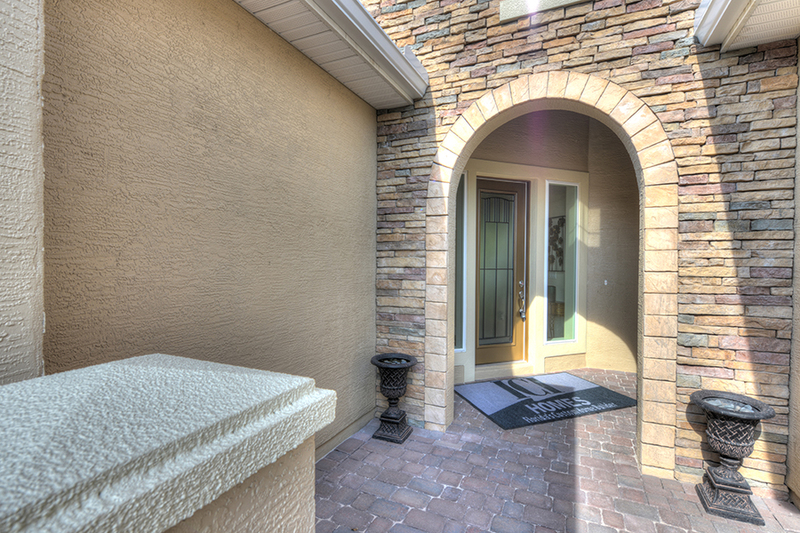 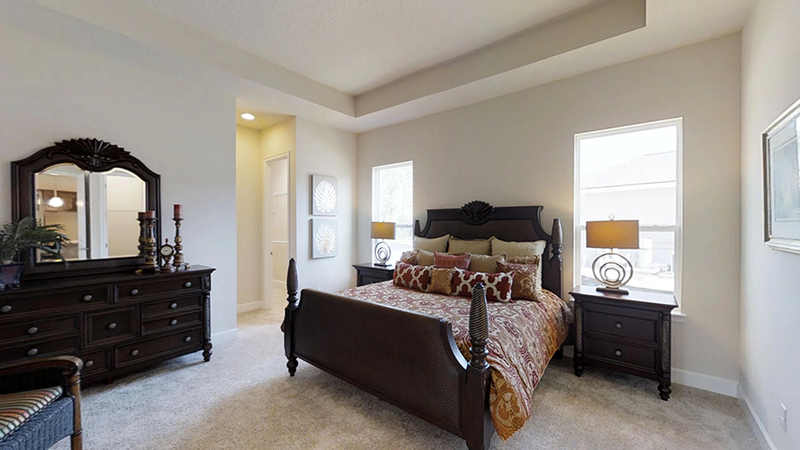 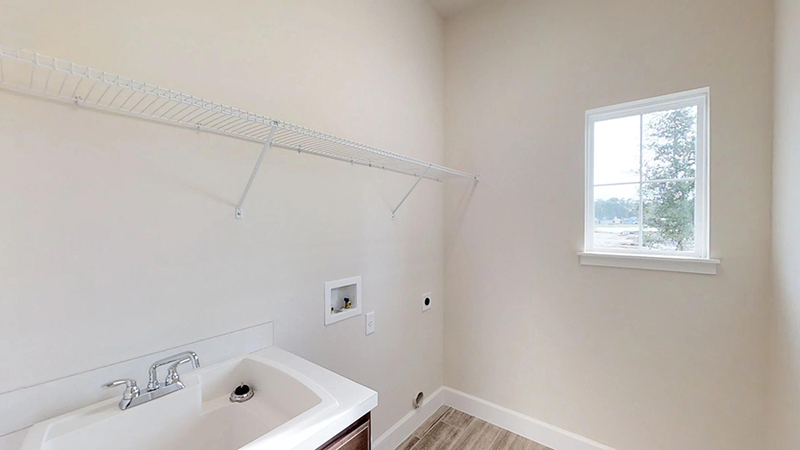 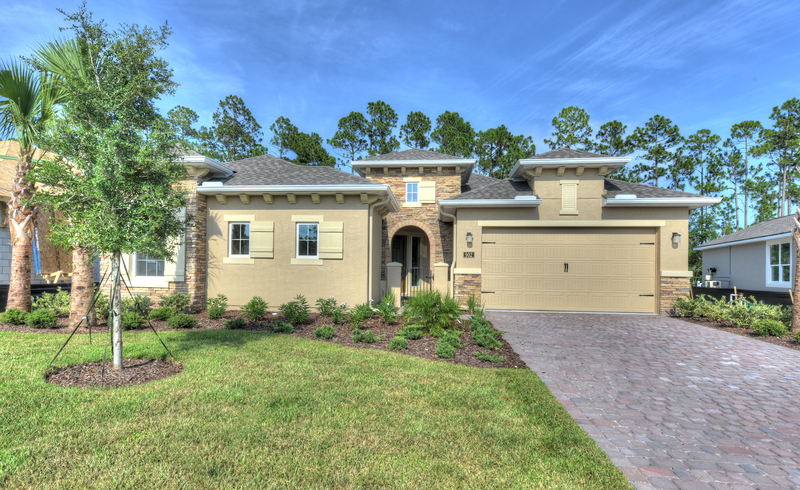 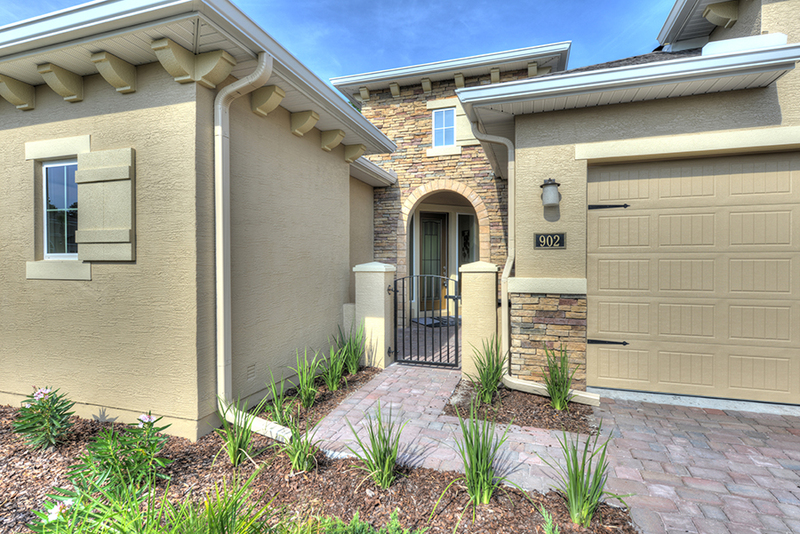 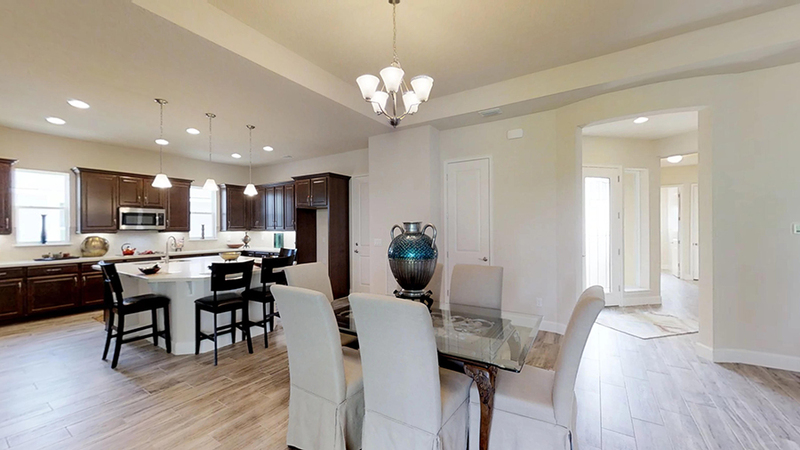 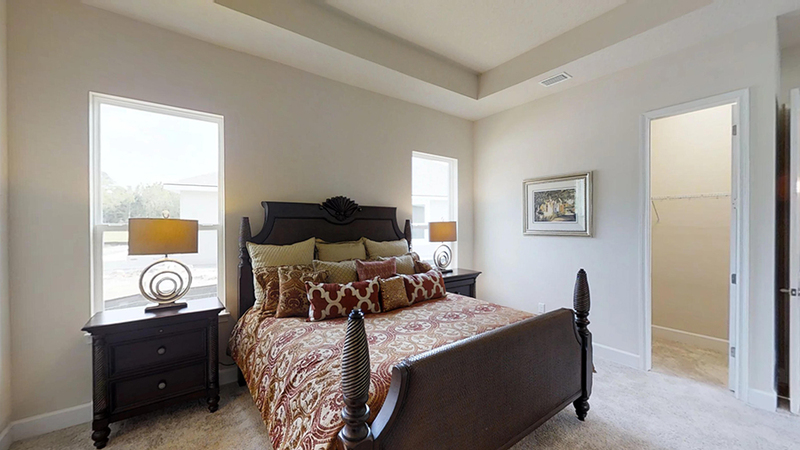 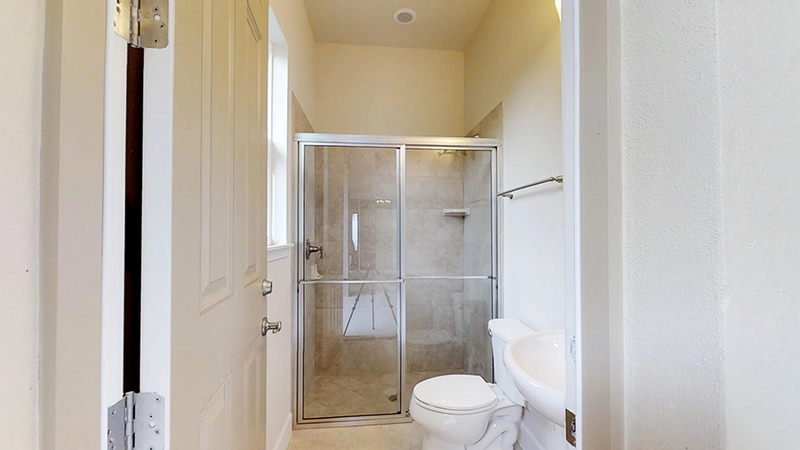 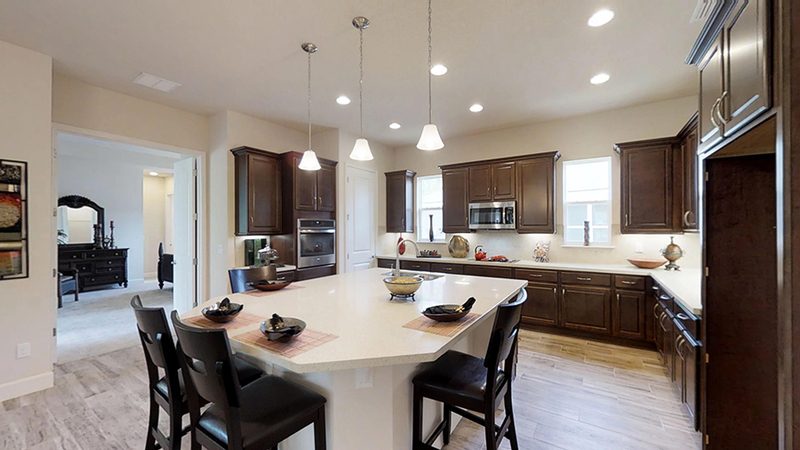 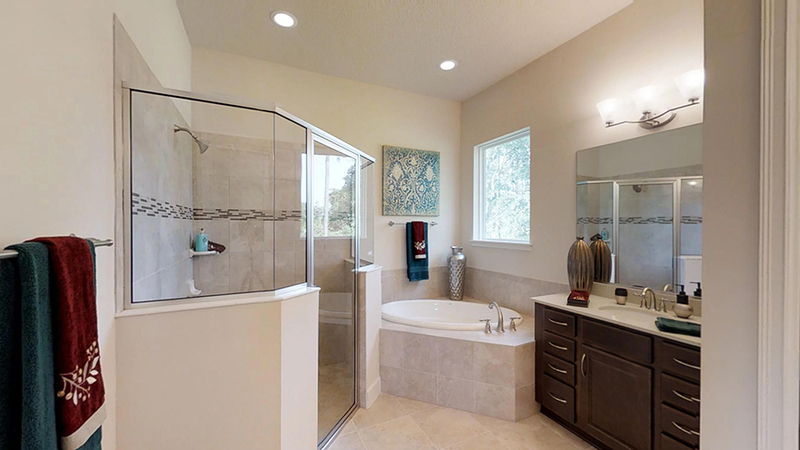 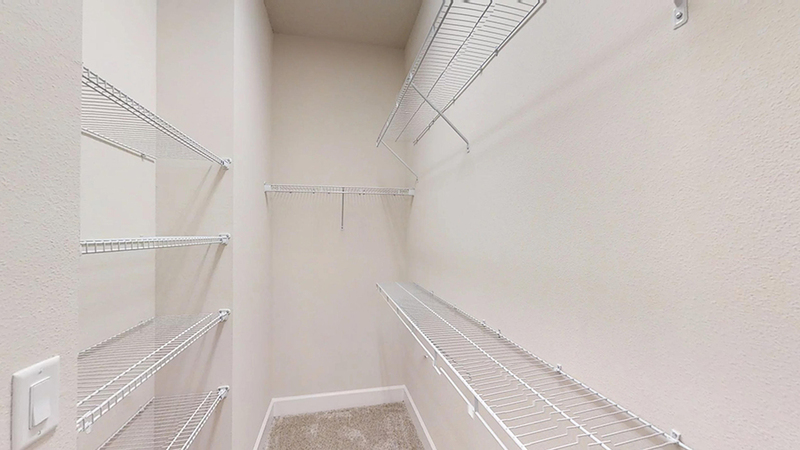 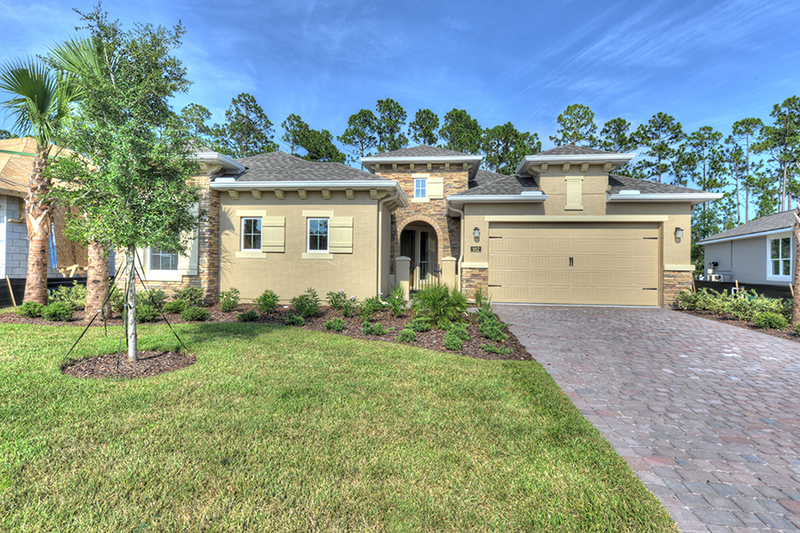 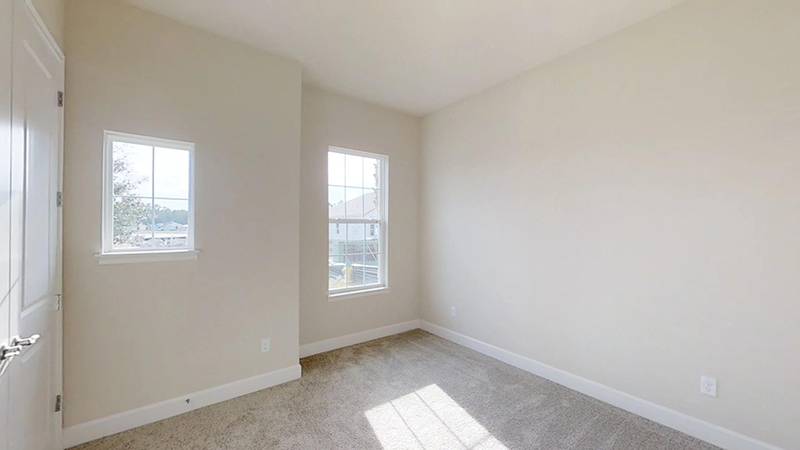 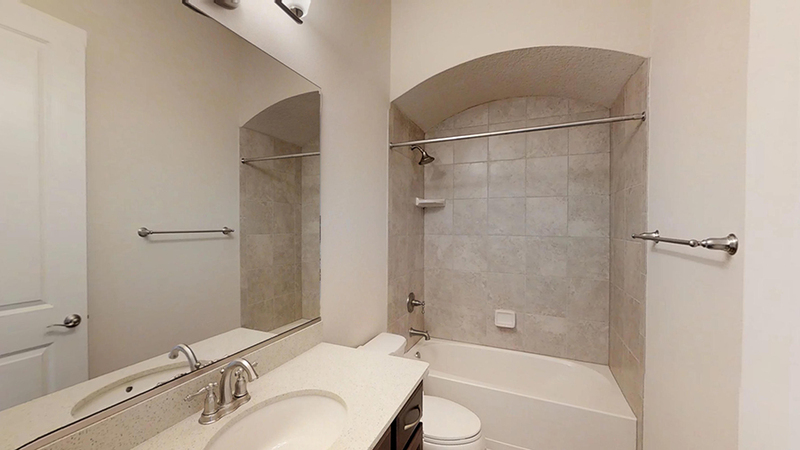 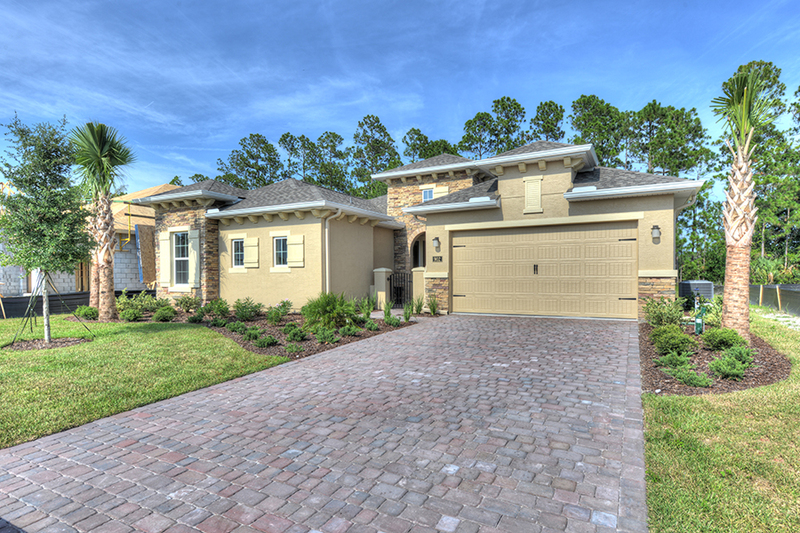 This Vienna showcase home has 3 bedrooms, 3 full baths, and over 2,000 square feet of living space. 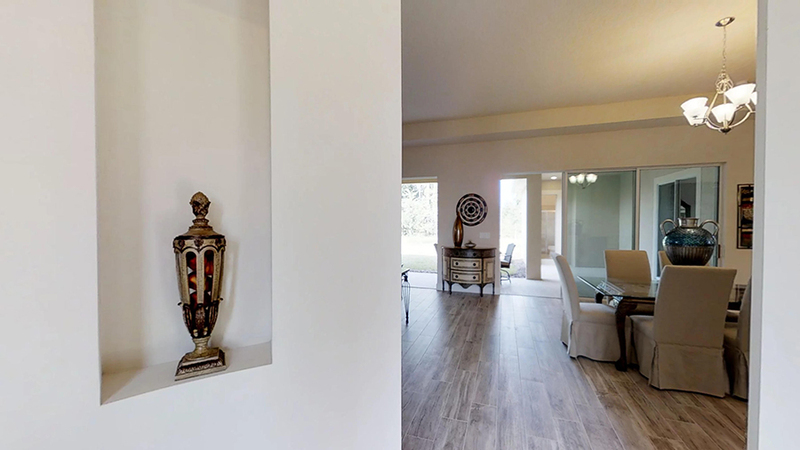 Upon entry, notice the stunning wood plank tile throughout the main areas of the home, which complements the other earth tone finishes perfectly. 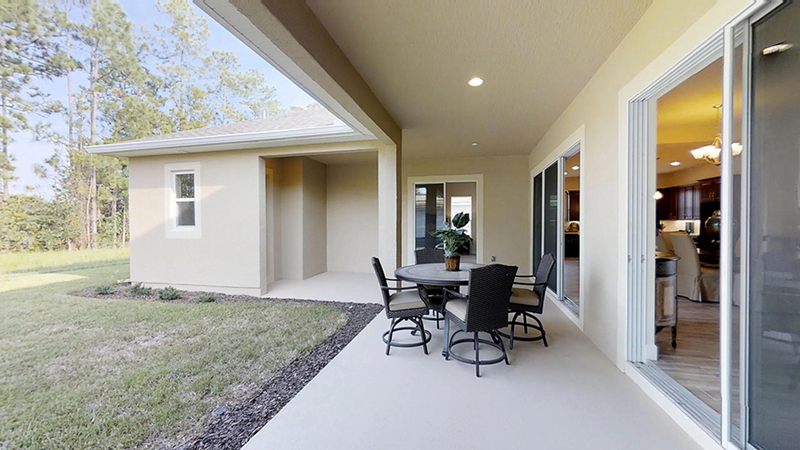 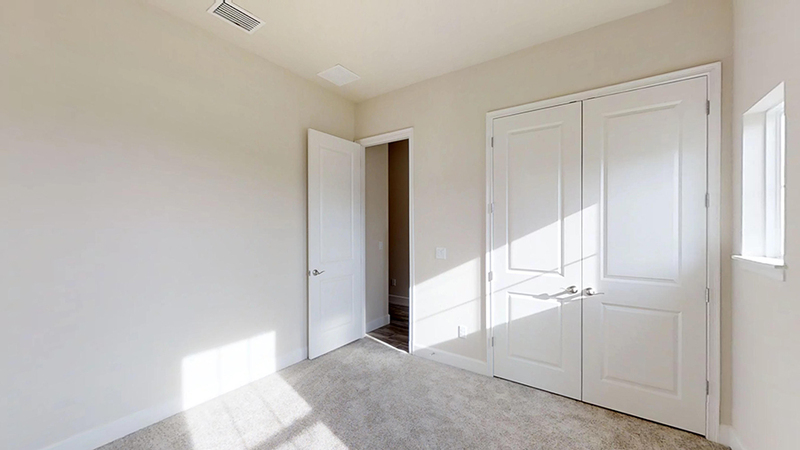 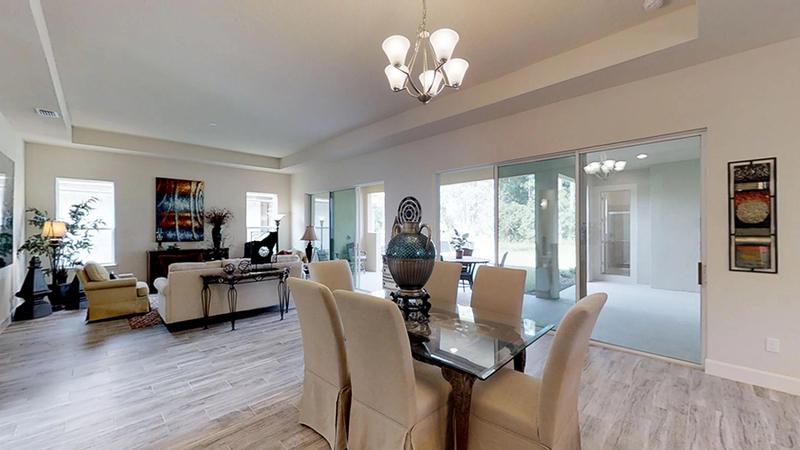 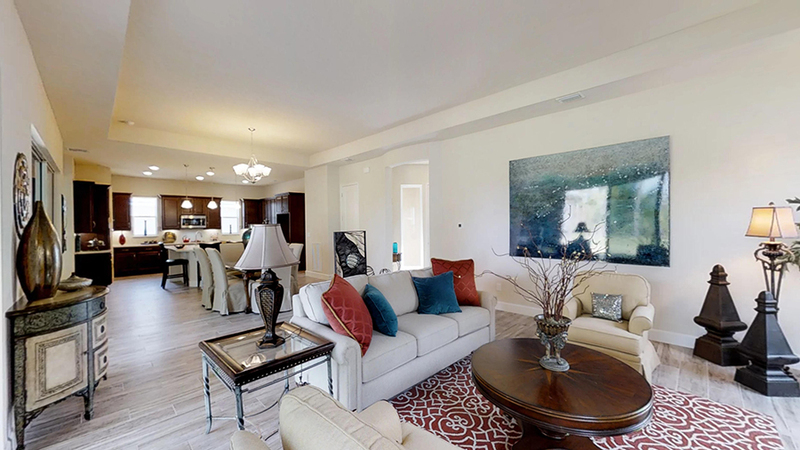 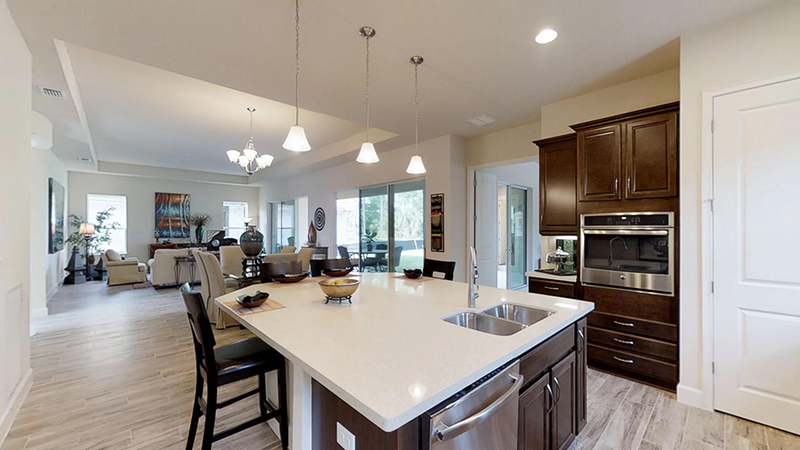 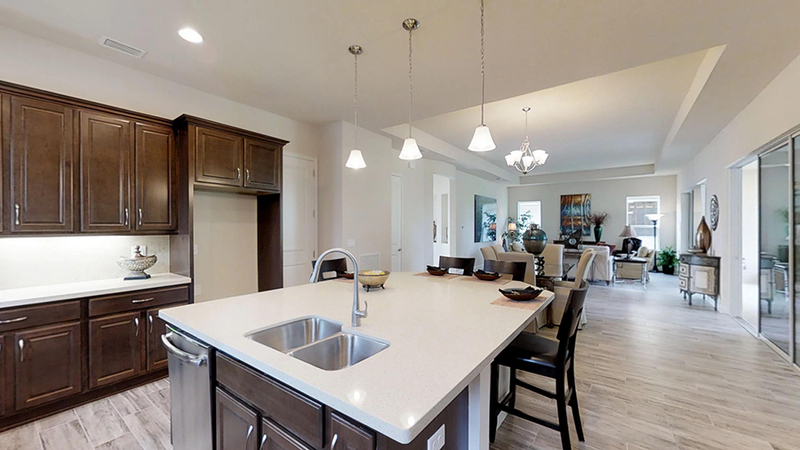 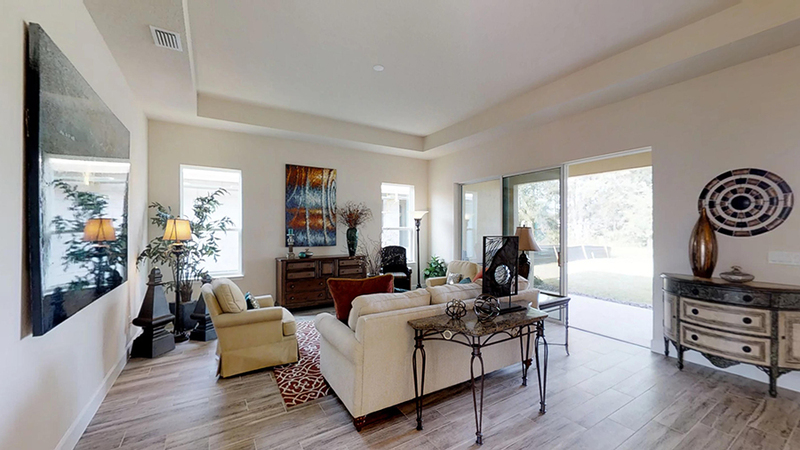 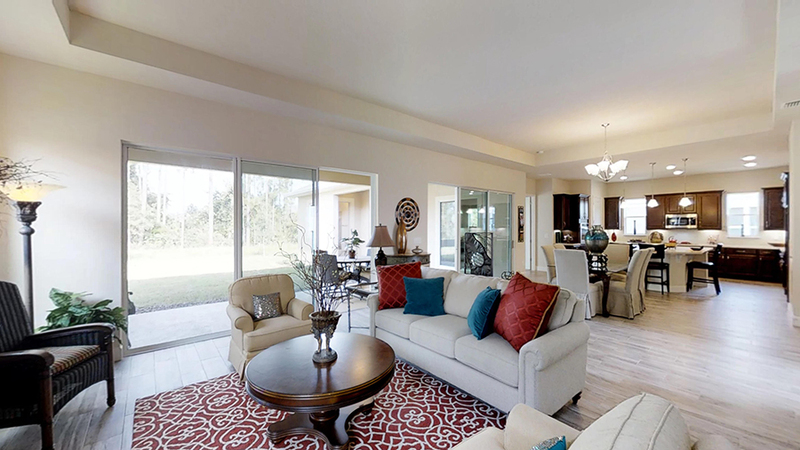 This open concept home features an incredible deluxe kitchen and a plethora of natural light coming in from the two sets of 12 foot sliding glass doors located in the gathering and dining area. 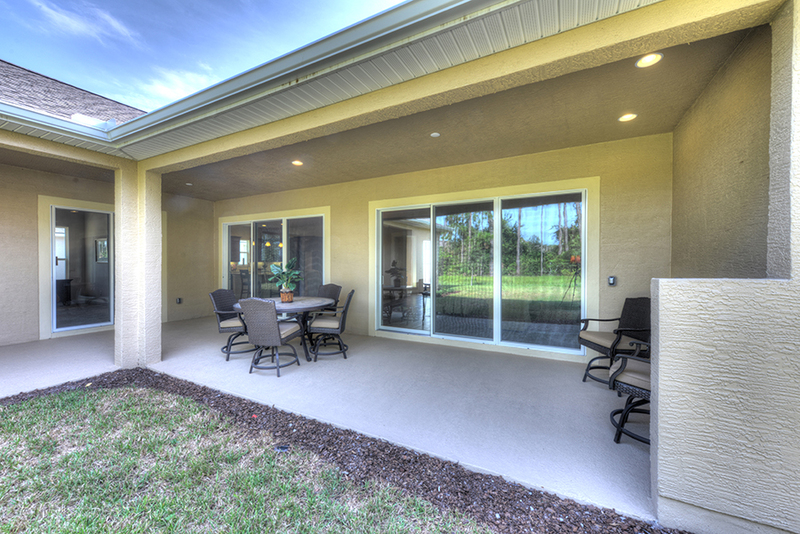 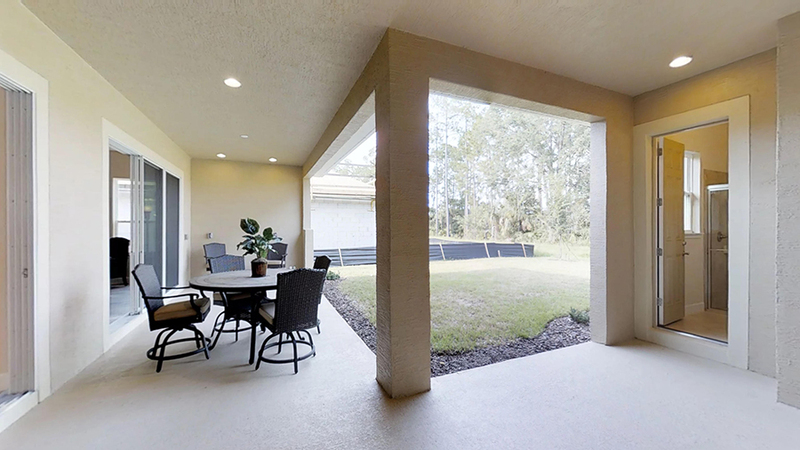 Through the sliding glass doors in the owner’s suite, access the oversized L-shaped lanai, which includes plumbing for a summer kitchen. 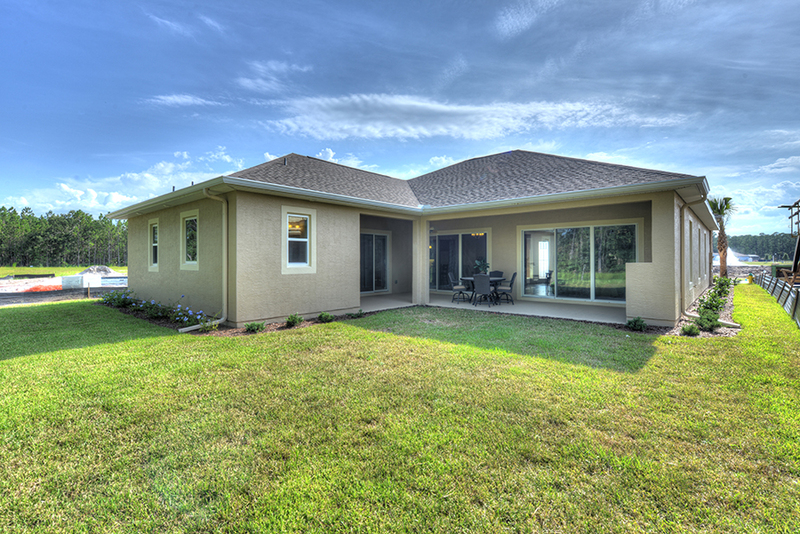 This home is on a perfect homesite for a brand new pool and it even offers a full outdoor pool bath.